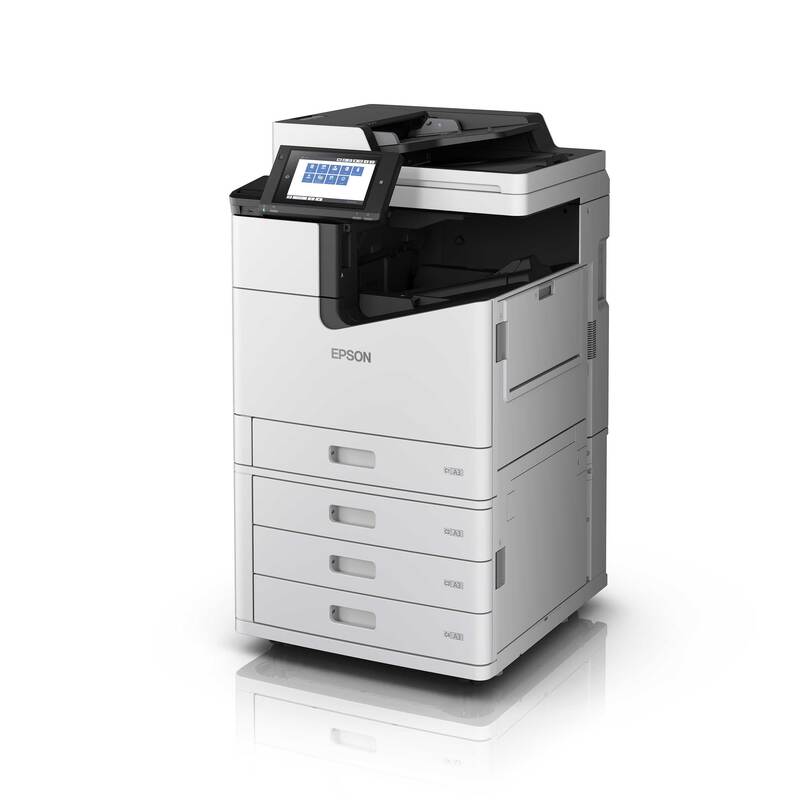 LONG BEACH, Calif. – March 20, 2017 – Epson America, Inc., a leading provider of superior performing printing solutions, today debuted its first corporate high-speed inkjet line head printer – the WorkForce® Enterprise WF-C20590 A3 multifunction printer – designed for SMB and corporate workgroups. Powered by PrecisionCore® Line Head Technology, the new WF-C20590 offers breakthrough speed, up to 100 ISO ppm†, optimized for workgroup productivity and versatility. 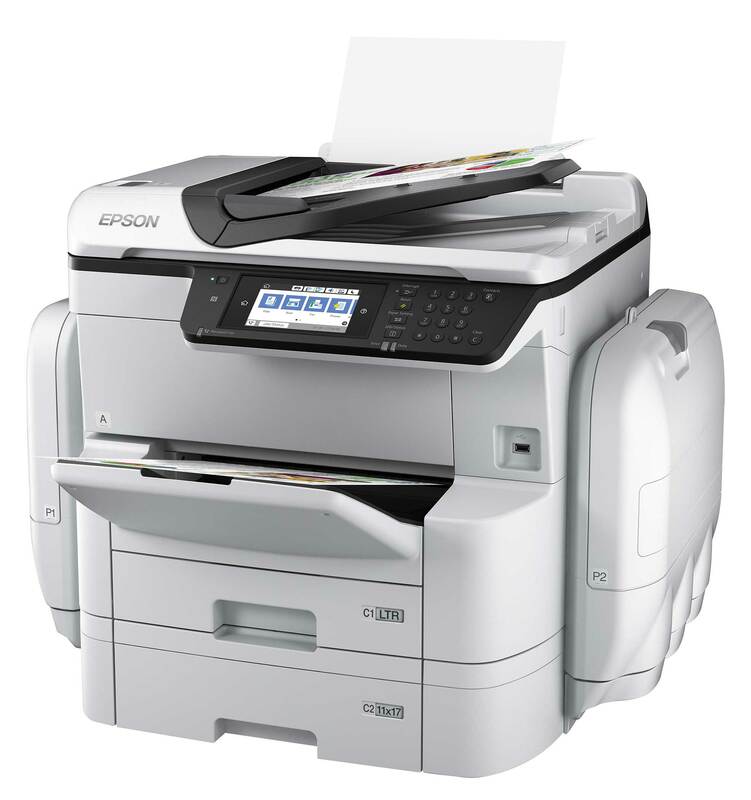 In addition, Epson today introduced the WorkForce Pro WF-C869R A3 multifunction printer. 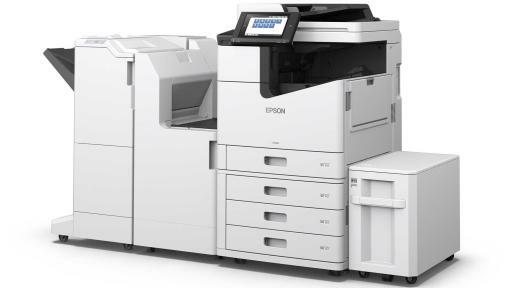 Leveraging the Epson Replaceable Ink Pack System, the WF-C869R offers lowest color printing in its class1. 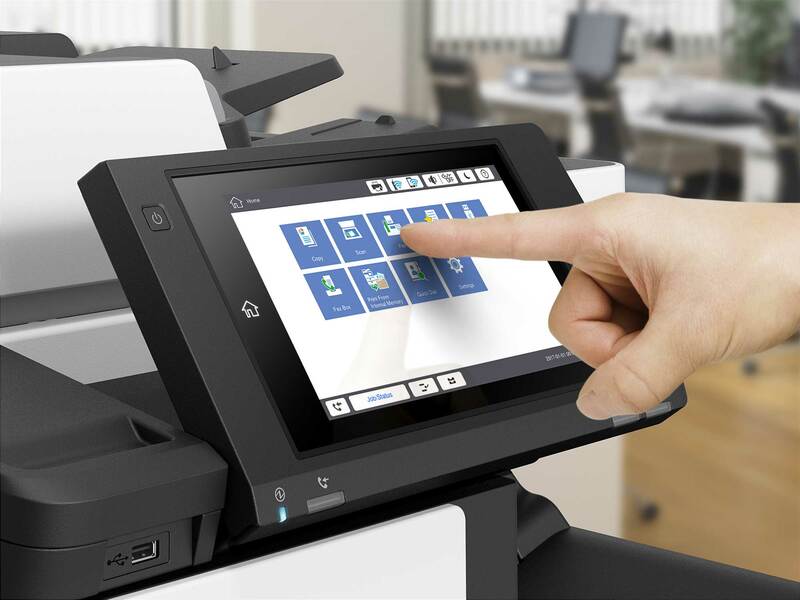 WorkForce Enterprise WF-C20590 A3 Multifunction Printer – delivers high-quality output and breakthrough speed of up to 100 ISO ppm†, the fastest in its class2. 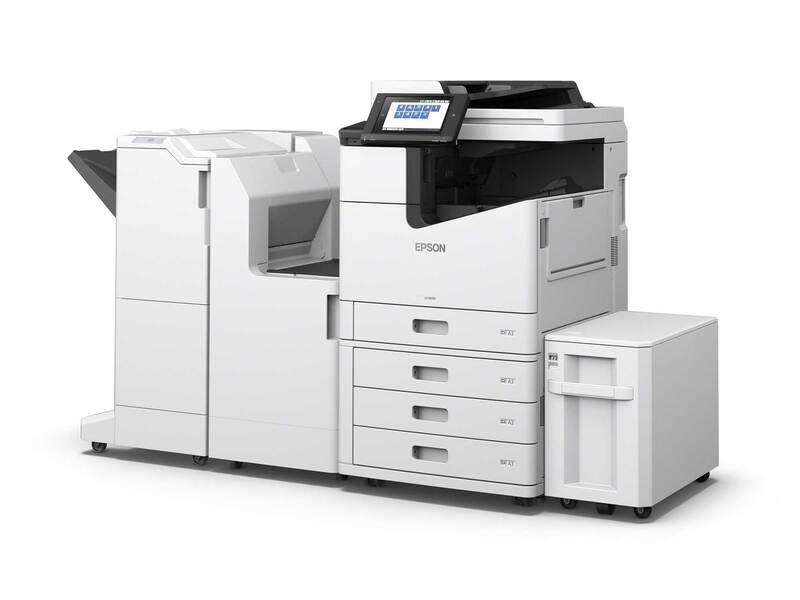 Epson’s first PrecisionCore line head multifunction color printer is a powerful workhorse, while utilizing 50 percent less power than color lasers2 and operating on a standard 110-volt outlet. For a faster workflow, the WF-C20590 offers a standard 2,350-page paper capacity3, an optional 3,000 sheet high input capacity unit, and an optional finisher for collating and stapling. Its high-yield large capacity ink cartridges deliver up to 100,000 black4 / 50,000 color ISO pages* before replacement. 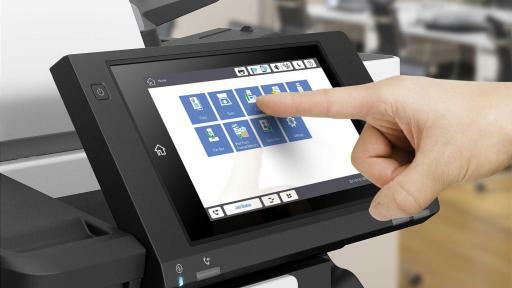 The WF-C20590 features Epson Open Platform for seamless integration with web-based enterprise applications such as PaperCut MF and other workflows, and is fully MPS compliant. WorkForce Pro WF-C869R A3 Multifunction Printer – offers the lowest color printing costs in its class1. Its Replaceable Ink Pack System delivers up to 84,000 ISO pages before changing the ink packs5, which means fewer interventions and less hassle compared to previous models. 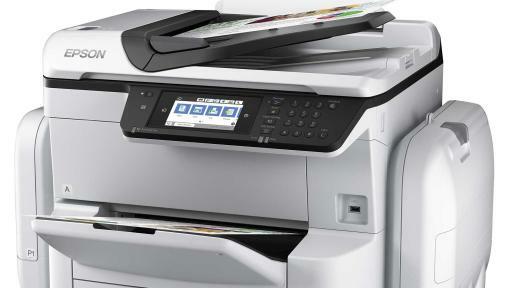 The printer offers professional-quality prints at 24 ISO ppm (black/color)†, and scans up to 25 images per minute6. 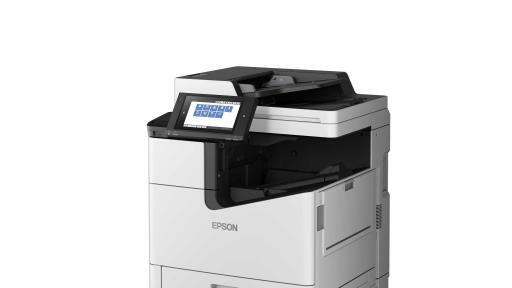 With 13”x19” printing, a 1,830-sheet total paper capacity7, convenient auto duplexing, and workflow integration with Epson Open Platform, the WF-C869R provides versatility for busy workgroups. 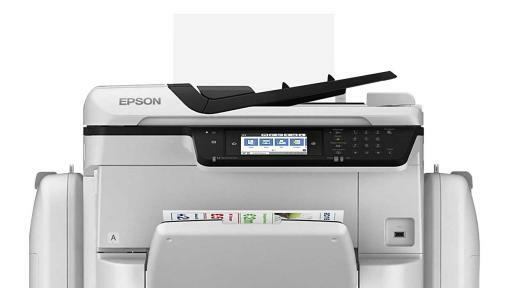 The Epson WorkForce Enterprise WF-C20590 will be available summer 2017 through participating BTA resellers. The WorkForce Pro WF-C869R will be available through authorized BTA resellers starting spring 2017. For more information and availability, please visit www.epson.com. For further information, resellers can contact Lauren Lung, national sales manager, at Lauren.Lung@ea.epson.com. Led by the Japan-based Seiko Epson Corporation, the Epson Group comprises nearly 73,000 employees in 91 companies around the world, and is proud of its contributions to the communities in which it operates and its ongoing efforts to reduce environmental impacts. Epson America, Inc. based in Long Beach, Calif. is Epson’s regional headquarters for the U.S., Canada, and Latin America. To learn more about Epson, please visit: www.epson.com. 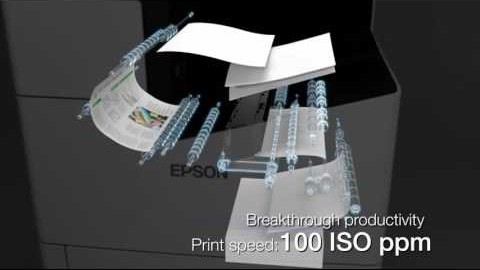 You may also connect with Epson America on Facebook (http://www.facebook.com/Epson), Twitter (http://twitter.com/EpsonAmerica), YouTube (http://www.youtube.com/EpsonAmerica), and Instagram (instagram.com/EpsonAmerica). 1 Based on total costs of printing with the WF-C869R printer and highest-capacity replacement ink compared with the costs of printing equivalent ISO pages with the best-selling, similarly featured color laser and color inkjet printers priced between $1,999 USD and $14,999 USD as of September 2016. Toner and ink costs based on manufacturer’s highest-capacity yields and pricing; printer costs based on average selling price per industry-available data as of January 2017. Actual savings will vary based on usage conditions. 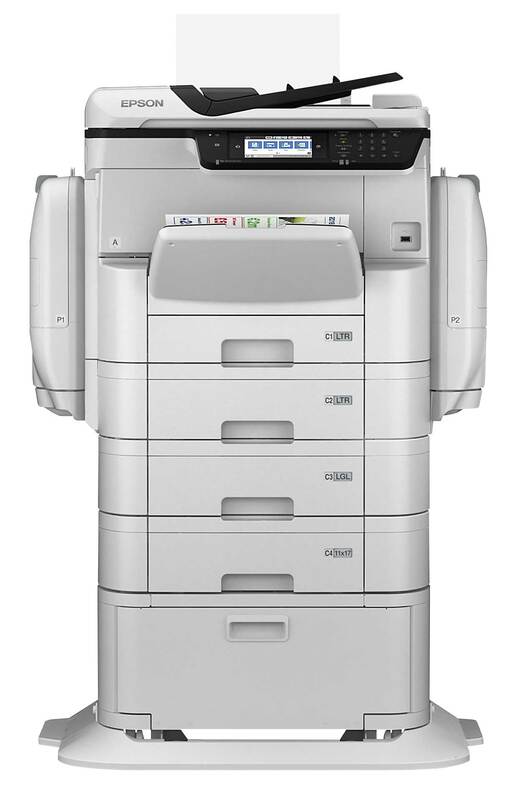 2 Compared to best-selling A3 color MFPs with MSRP of $41,000 or less. Competitive data gathered from manufacturer websites and third-party industry sources as of Nov. 2016. 3 With optional high-capacity input; 2,350-page capacity standard. 4 With two 50,000 page black cartridges. 6 Based on 200 dpi, letter-size, in Black-and-White or Color. 7 With optional paper trays.